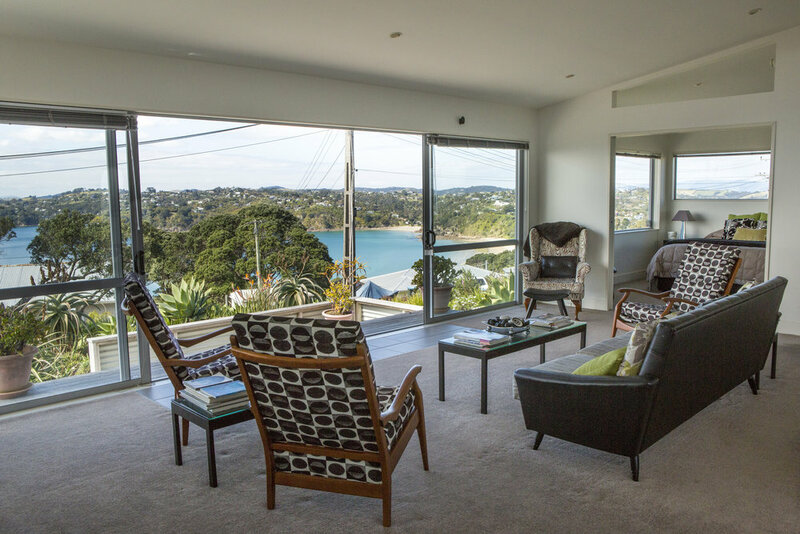 You deserve the best in Waiheke's accommodation. Luxuriate in the sound of silence from this panoramic position View43. 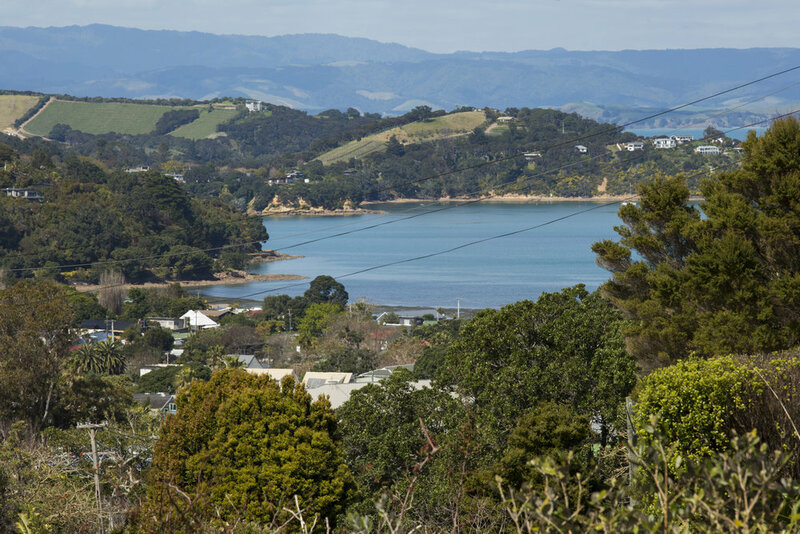 Watch stunning sunrises, sunsets and unparalleled vistas of the Hauraki Gulf in refined, elegant, yet unpretentious luxury. Leave your busy life behind and soak up the tranquillity and ambience of this special place, nestled high on the crest of Oneroa. Discover, indulge, relax and enjoy a very unique setting, soaking up the sunshine on private, extensive courtyards, patios and decks, showering in privacy under the stars or lounging in front of a warm intimate fire. Allow your senses to awaken to the ultimate relaxation and romance that View43 offers. 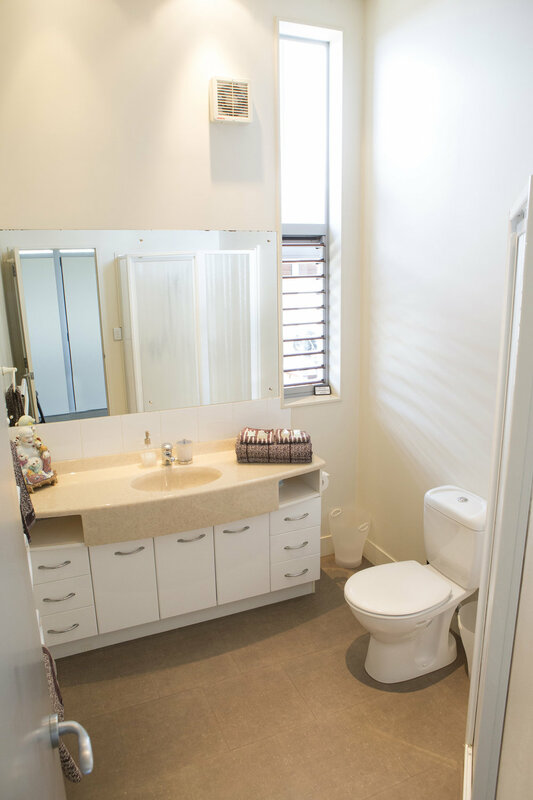 View43 ... a contemporary design with glimpses of retro touches offering style, elegance and privacy. The ultimate private seaside escape you won't want to leave. View43 and CityLights are uniquely designed to accommodate separately or combined.